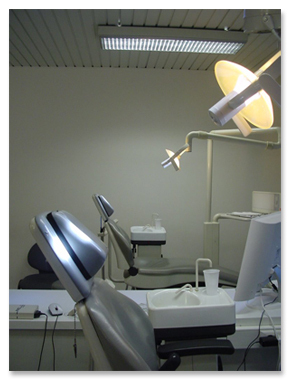 At the dental practices DENTAL CLINICS we obviously practice the art of dentistry, but also the art of integration. The history of Belgium – and nowadays of Flanders – shows that the essence of linking people to one nation is language – which also offers access to a common culture. Flanders has often been the centre of all sorts of invasions : we have been part of Burgundy but also Spain, Austria, France, The Netherlands and finally Belgium. At the moment a twofold movement is taking place : a progressive, pacifist and negotiated liberation from the Belgium State and simultaneously a similarly pacifist invasion of a foreign workforce whose presence became necessary due to our economic growth, by some called the ‘Flemish wonder’. But where our language, our culture and our identity evolves as we emerge from Belgium, in the future we could be apprehensive about the threats of globalisation or in other words ; peaceful economic invasions. It is in this clearly defined context that the dental practice DENTAL CLINICS achieve their full meaning : dentists from the four corners of the European Union caring for patients from three continents. But what all these people have in common is the wish to find a new homeland, here on this soil, to appreciate its language and culture, and to prove this by way of a permanent tribute (see page SPONSORING). Language and culture : the strongest link between the citizens of a nation !